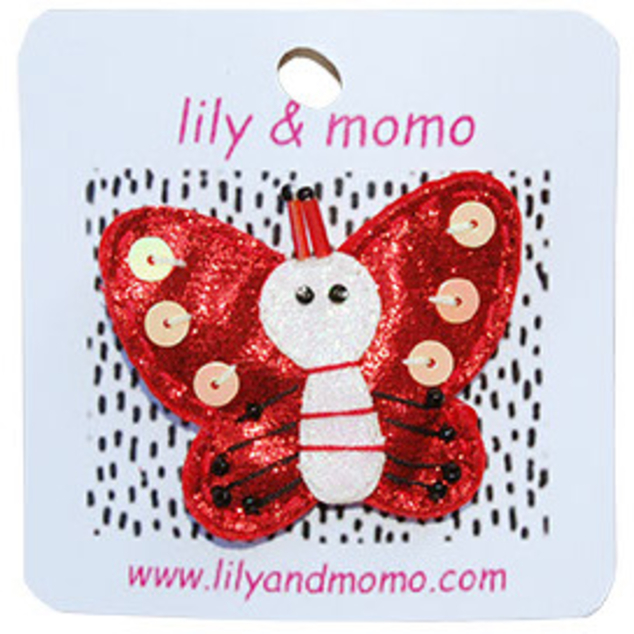 Red glitter butterfly. Alligator hair clip. Approx sizes: 1.5" tall x 1.9" wide at widest point of the wings.